Creatinine is the body’s product which is being produced as a result of a muscle metabolism. It is being released during muscle breakdown, which is normal and depends on the one’s muscle quantity, physical activity, hormonal status and other factors. It comes from creatine where about 2% of it gets transformed into creatinine and then excreted through kidneys. They are fully excreted through kidneys, so it is used for kidney function indicator. It is normal that the levels of creatinine change, since a lot of factors can influence on it. For example, it is different between male and female, where the age is important too since a child will have less muscle mass, resulting in lower values of creatinine. If the kidneys don’t work properly, it can result in high creatinine, so having a low creatinine is usually a good thing. The kidneys filter the creatinine freely, so the values found in the urine are a real representation of the kidneys function. It is often measured during a routine lab test. Even if the low creatinine suggests that your kidneys work great, sometimes it can indicate a different problem such as a liver disease or low-protein diet effects. 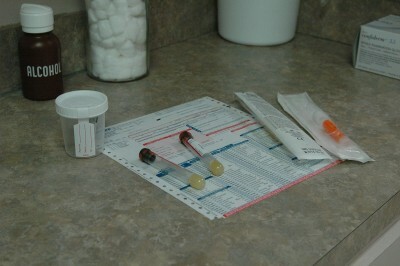 It can be measured from the blood or urine sample. Here are the normal values of creatinine. Creatinine is measured in milligrams per deciliter (mg/dL). 3 to 0.7 mg/dL for children under the age of 3. 8-1.9 mg/dL for people with one kidney. There are a lot of factors which can affect the values of the creatinine. It is not considered a bad thing, depending on the cause. Some of the conditions are not diseases, they just have a state of low creatinine. Here are some of them. It is not a rare occasion that the pregnant women has low creatinine. This is not a proper low value of the waste muscle product, where the quantity of creatinine doesn’t have to change exactly. The main reason of low creatinine in pregnancy is the excessive plasma in the blood, where the additional plasma which is being secreted in the second trimester dilutes the creatinine leading to low values. Another reason for low creatinine in pregnancy is the renal excretion, where the kidneys work about 30% more than usual, resulting in more excretion and therefore, lower values of creatinine. This is nothing to be worried about and it is completely normal. The normal range will return after the delivery. Since the body ages over time, so does the muscle mass decreases leading to less amount of muscles that can breakdown. Not only the muscle mass but the kidneys function as well, where the kidneys don’t retain the selective excretion losing the creatinine more than before. It gets lower due to low hormonal activity as well, where it decreases the metabolism. There are some diseases which lead to muscle mass decrease such as myasthenia gravis, Duchenne muscular dystrophy and other muscular dystrophies and diseases. It leads to muscle weakness and loss of muscles which causes low creatinine levels due to low creatine value in general. Duchenne muscular dystrophy is an X-linked recessive disease which is caused by dystrophin mutation which leads to losing of muscle tissue and premature death in boys. It appears early in life, at the age of 2-3 years old. Myasthenia Gravis happens as a result of nerve denervation which leads to muscle atrophy and weakness. When a person eats no or small amount of red meat, salmon, chicken liver, such as a vegetarians do, it can cause low creatinine. Eating vegetables and fruit will not increase the creatinine levels. Taking certain medications and low vitamin C can also contribute to low values of creatinine. When proteins from the meat decompose, it creates a nitrogenous product which leads to creatinine waste at the end of the process. A rare but possible cause can be a liver problem as well, where the protein degradation happens. It detoxifies the body, converting the nitrogenous waste into creatinine which is being excreted through kidneys later on. Low creatinine values can indicate a liver disease followed up with tissue destruction and inability to detoxicate. It can be cirrhosis, hepatitis or other liver condition. Even if a low value of creatinine is considered a good thing and indicates a kidneys function, sometimes it can be a sign of liver pathology and it is recommended to diagnose the actual cause. It should be monitored and if the low value persists over time, you should consult with your doctor. Eat a proper diet with balanced nutrients, including proteins. Diagnose the muscle disease with genetic tests and start with therapy in early stages to postpone the symptoms. Physical activity may help with muscle dystrophy, which will reduce the muscle rigidity and stiffness. To stop the weakness from early occurrence, you should use your muscles as much as you can. If a liver problem is a cause, you should consult your doctor about a proper treatment and adapt the diet according to the situation. You should avoid certain meds, contraceptives, alcohol beverages, hepato-toxic ingredients. If the problem of low creatinine is a kidney failure or chronic kidney disease, you should work on your diet, exercise and intake a proper medication. It can be due to a high pressure and diabetes, so regulating your pressure and glucose levels will help with complications reduction. In order to discover the right cause, it is important to diagnose it in early stages and to take action if a certain problem appears.